New Delhi, March 19: NCP Leader Sharad Pawar intervened in the ongoing war of words and possible alliance discussions in Delhi between the Aam Aadmi Party and the Congress. Multiple sources in all three parties have confirmed to ANI that Sharad Pawar has taken the mantle of mediator between both parties to stitch an alliance in Delhi to mount a unified campaign against the BJP. This intervention of the NCP comes after the Delhi Congress unit's divergent views on an AAP-Congress tie up came to a head when Delhi Congress Chief Sheila Dikshit went on-record to convey her disagreement with leaders within the Delhi Congress on joining hands with the AAP. 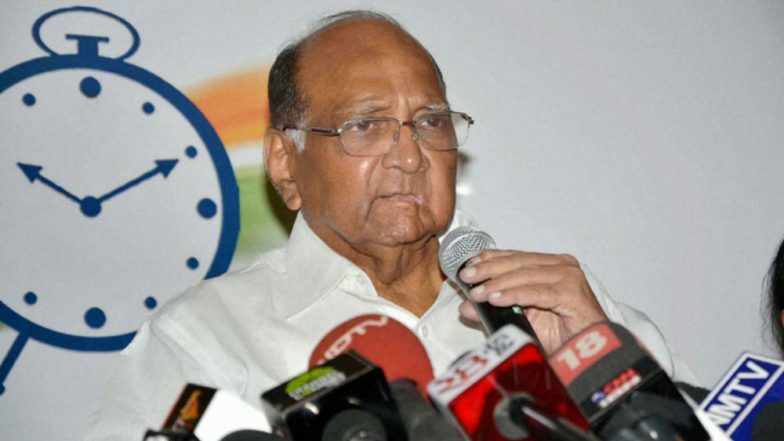 Sharad Pawar Quits Lok Sabha Race, Family's Third-Gen to Join Politics. Media reports surfaced on Monday that Dikshit penned a letter to Congress President Rahul Gandhi informing him that a tie up with the AAP would harm Congress' prospects in the upcoming Lok Sabha elections. Dikshit's letter was in response to a recent 'phone survey' by AICC's Delhi in Charge PC Chacko to guage the 'mood' of party workers in the capital and their opinion on a Congress-AAP tie up. PC Chacko had earlier said that, "As far as I know, there are senior leaders in Delhi who think that defeating BJP is party's immediate responsibility. For that we should form an alliance with AAP, that's the thinking of majority of leaders. "Party functionaries refused to comment whether Sharad Pawar had made any headway in his mediation efforts. A decision on the AAP-Congress alliance would be made within the next 48 hours the sources added.